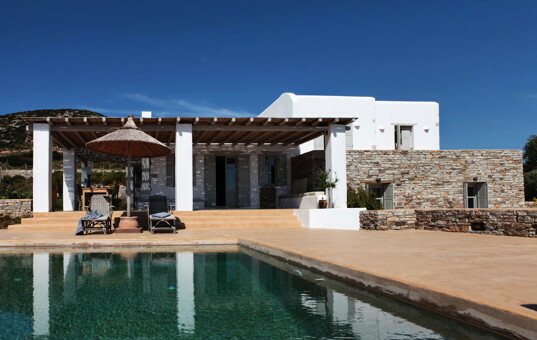 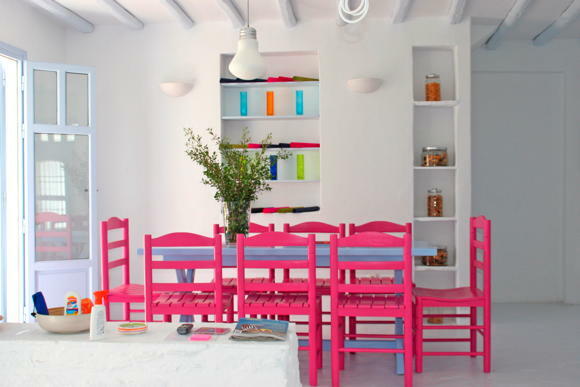 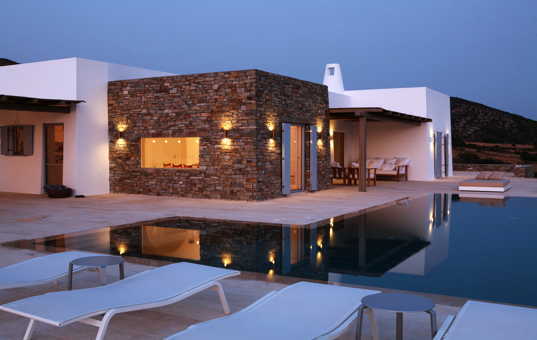 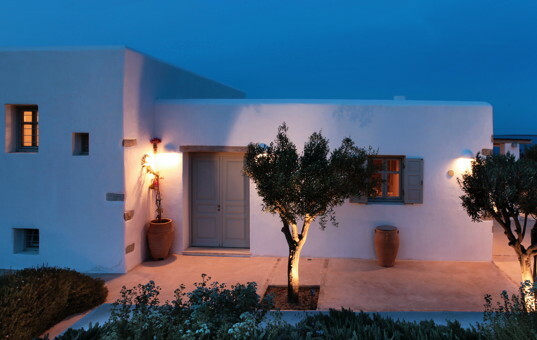 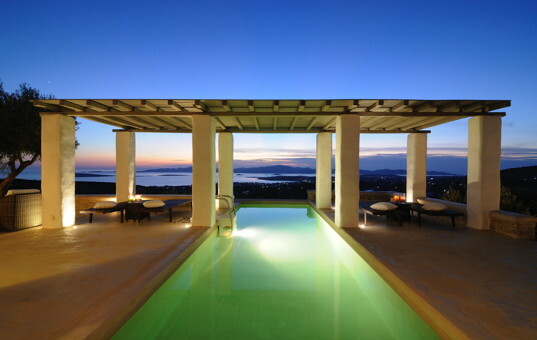 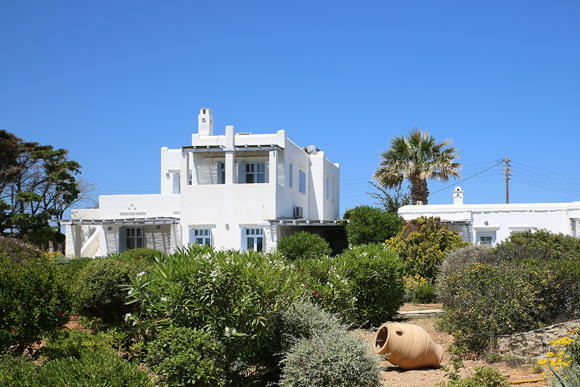 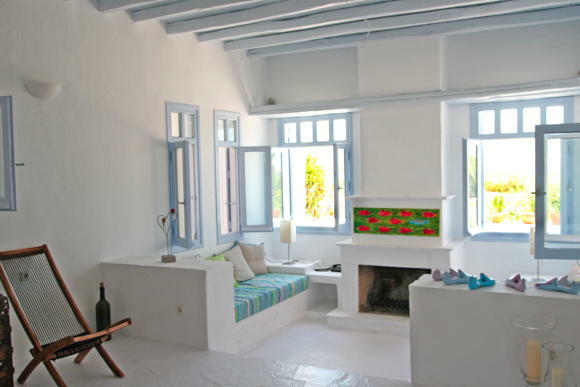 This charming vacation villa is set near the town of Antiparos on a headland in the neighbourhood of other tended houses. 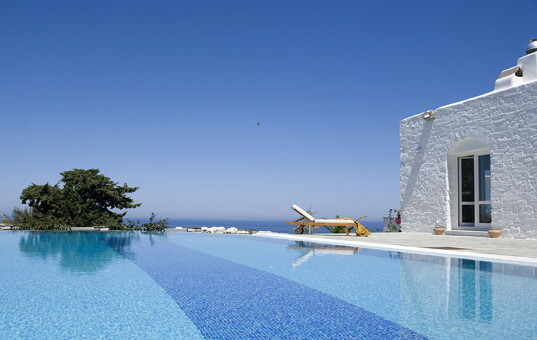 Once arrived on this small island, one finds a paradise on earth. 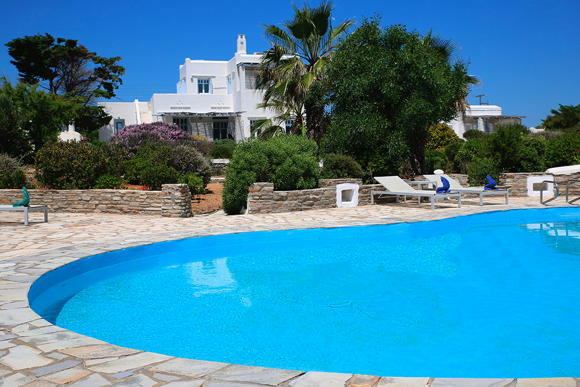 The large, well-kept garden with the sea-water pool and the adjoining pool bar invite to relax. 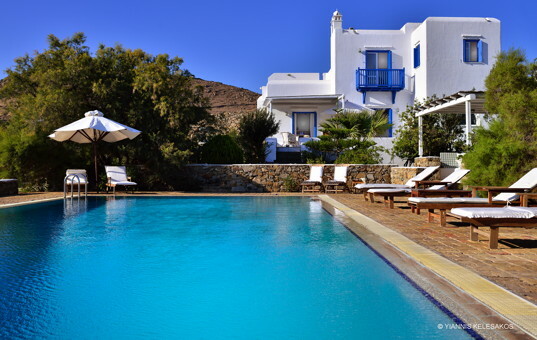 Those who prefer to swim in the sea simply exit the garden gate to find a semi private sandy beach with turquoise-blue waters. 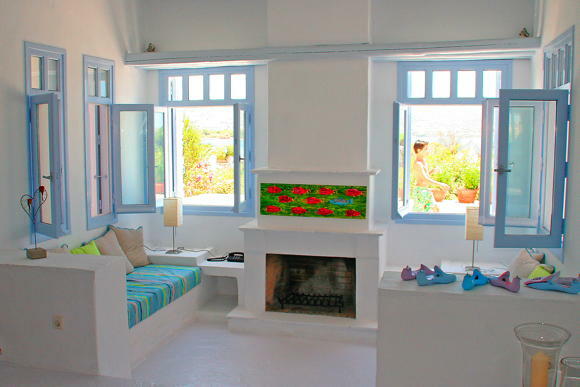 The villa is tastefully decorated. 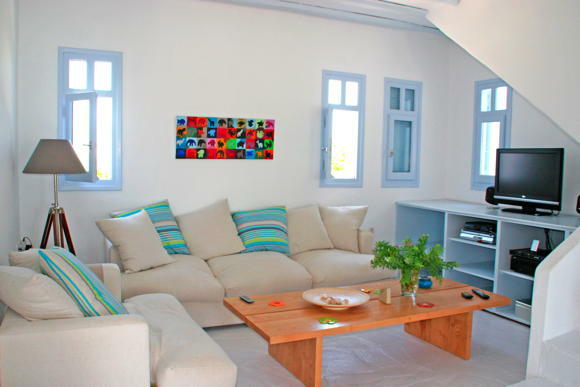 Modern interieur, bright colours and two partly covered terraces with teak furniture emphasize the comfortable flair of this holiday domicile. 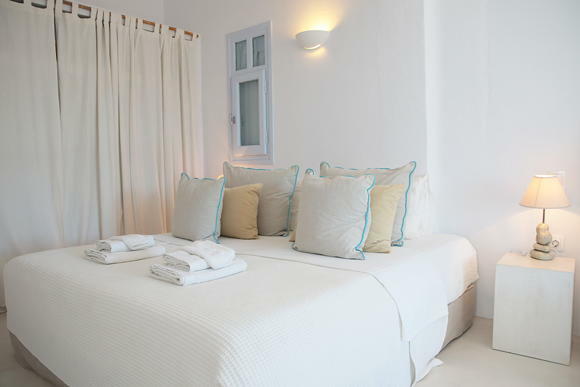 The bedrooms on the first floor each have their own bathroom ensuite and from their balconies they offer splendid views across the sea and to the opposite island of Paros. 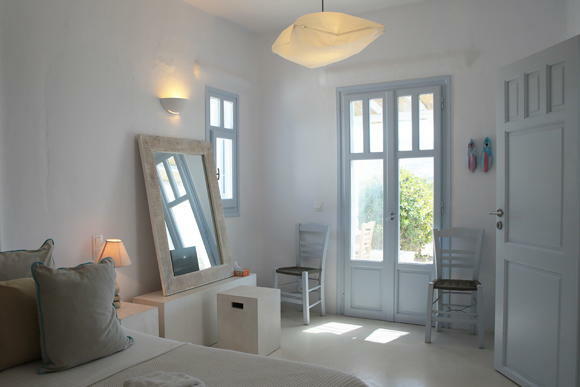 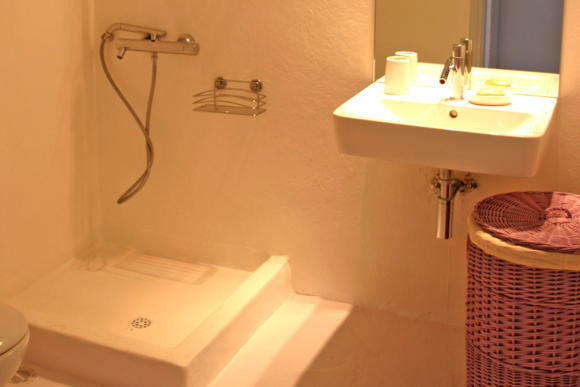 Next to the al fresco dining area a charming guesthouse is set, which can accommodate up to four persons comfortably. 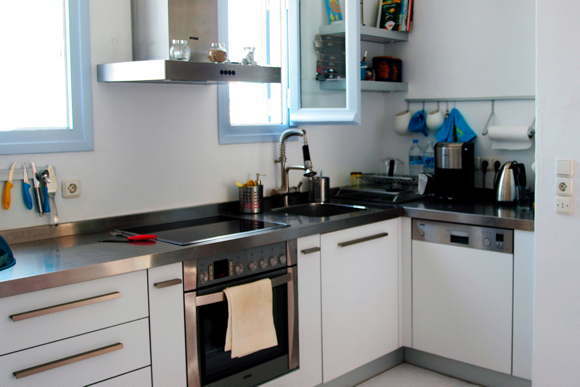 The handy man lives inhouse in a separate studio in the basement of the villa.